To get the rice to be present, I decided to ratio the chicken at two parts to one part of rice. 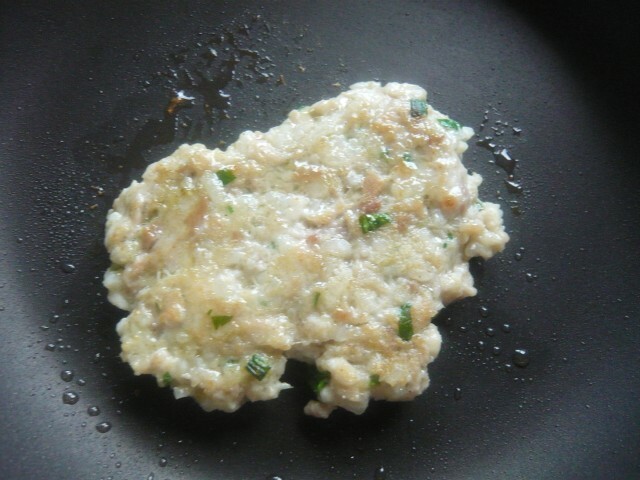 I also thought I could enhance the chicken taste by cooking the rice in chicken stock. 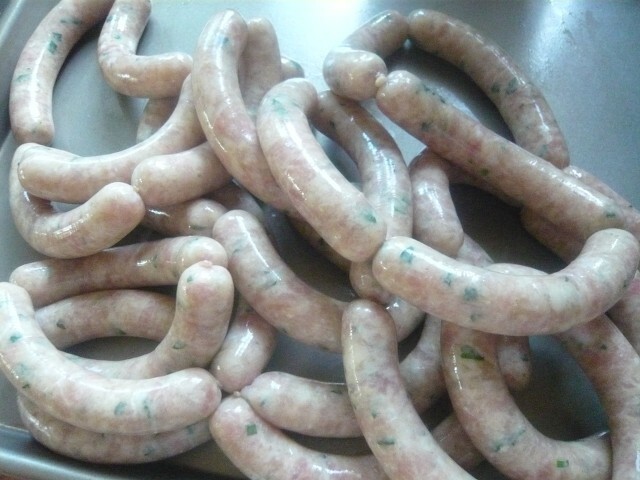 For seasoning I settled on salt and white pepper with a little powdered bay leaf and fresh chopped parsley and chives. Pass the chicken (nearly frozen) through a course plate along with half of the cooked rice (this was done for texture reasons). Blend in the balance of the rice along with the spices. Stuff into sheep casing. 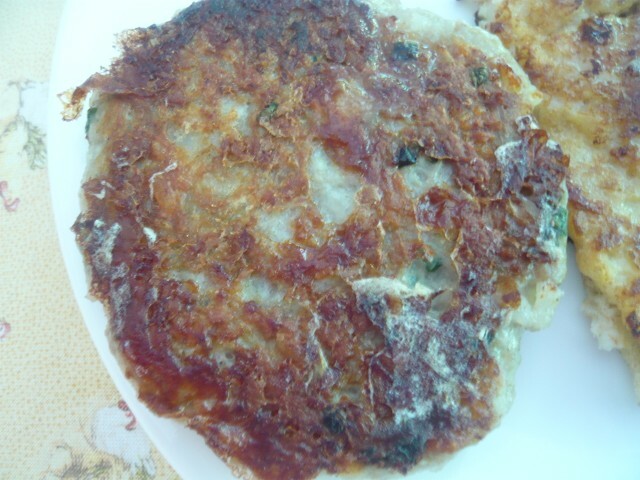 These are prone to bursting with the high level of filler so cook gently, or consider poaching then browning, or skip the casing altogether and form into patties. I've used roasted rice powder in chicken sausages before with some success you may want to give it a try. That sounds like a larb sausage; does the rice maintain it's texture? The powder is more about flavor in a wet recipe like sausage, as it will absorb moisture and thus not be crunchy but still retain its toasted flavor. It may change the water content in your formulation as it will absorb some so if you try it experiment a bit with water content. But yes its used for texturing in salads in Asian recipes. I've modified this sausage slightly and have found that I like them best uncased and made into patties. When fried this way they form a crunchy thin crust. A larger sized patty can be used to make a chicken sandwich with a bit of lettuce and some pickles. Chicken meat and fat from 10 chicken thighs	1500 g	3 # 5 oz. Spread the cubed chicken meat on a tray and partially freeze. 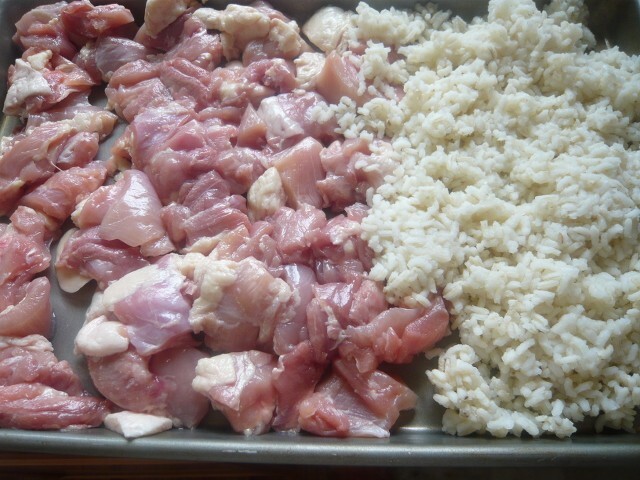 Mix the chicken with half of the cooked rice, the salt and spices. Grind through a course plate if using a sausage grinder or process in small batches if using a food processor. 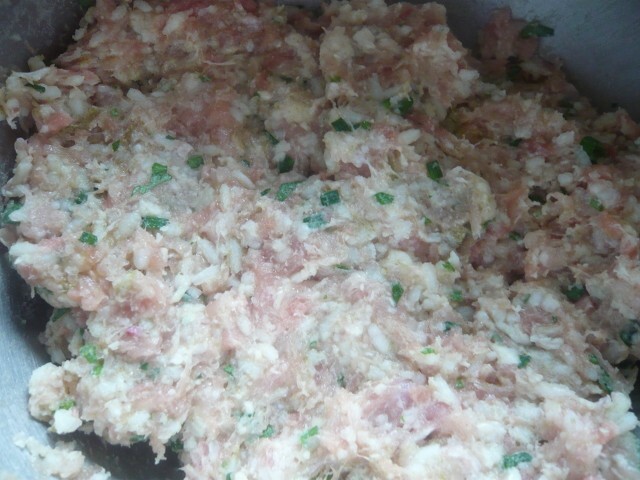 Mix sausage meat with the remaining rice and herbs until uniform. Shape into 2.5 oz. (70 g) patties or into 5 oz. (140 g) bun size patty or stuff into sheep casings. Yield: 4.5 #, or 29 sausage patties at 2.5 oz. sounds good, looks even better! Paul, any idea on the carb count? 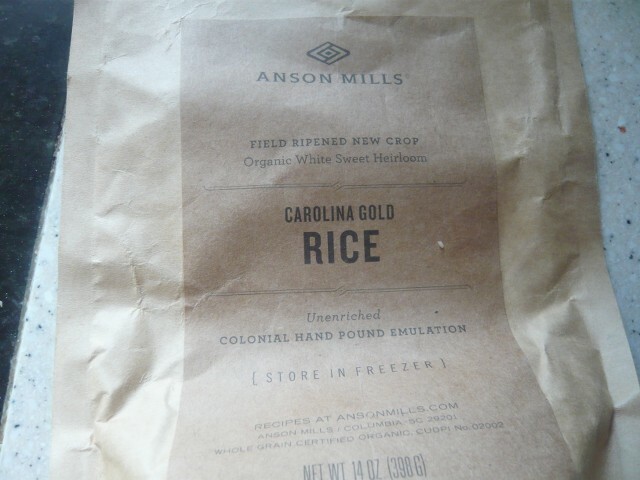 White long grain rice has 28g per 100g (cooked) so if the recipe calls for 600g cooked rice, that is 168g total. With 29 of the 2.5 oz patties, that works out to be 5.79 per patty, or 11.59 per 5 oz serving by my math. Carbs drop to 23g per 100g (cooked) for brown long grain rice, or 9.52g carbs per 5 oz serving. Thanks for adding that analysis. just made some of these today and the test pattie tastes great .i could not get fresh herbs so i had to use dried chives and parsley which made working out the quantity a bit of a guess , i used 2.3 kg of chicken breasts skin on , then roughly one a half times the salt and pepper just 1 cup rice cooked in 2 cups of water with 2 teaspoons of gluten free chicken stock powder. If you don't have fresh chives, you can sub in the tops of green onions. I guess it would make a good chicken burger? I've been looking for one that isn't coated in breadcrumbs and am hoping that this will fit the bill?